It's 22:49 in Baltimore, USA right now. Robert W Coleman Elementary School A webcam in Baltimore, Maryland - camera location: Robert W Coleman Elementary School. Baltimore, Maryland: Maryland Science Center, 0 miles away. Baltimore, Maryland: Baltimore Zoo, 0 miles away. Baltimore, Maryland: Morgan State University, 0 miles away. Dundalk, Maryland: Community CollegeBC Dundalk Campus, 5.9 miles away. 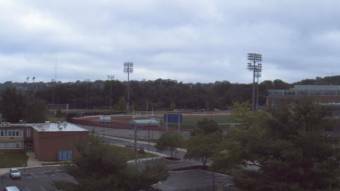 Arnold, Maryland: Anne Arundel Community College at Arnold, 18.2 miles away. Laurel, Maryland: Laurel High School, 18.4 miles away. Laurel, Maryland: St Vincent Pallotti High School, 18.4 miles away.